Lemax Reindeer Figurines (Set of 3) depicts traditional and protective Reindeer watching over their young whilst grazing in the harsh Winter snow. Suitable for placement in and amongst a Lemax village miniatures scene. A popular Lemax Santas Wonderland themed figurine set which joined the Lemax collection in 2006. 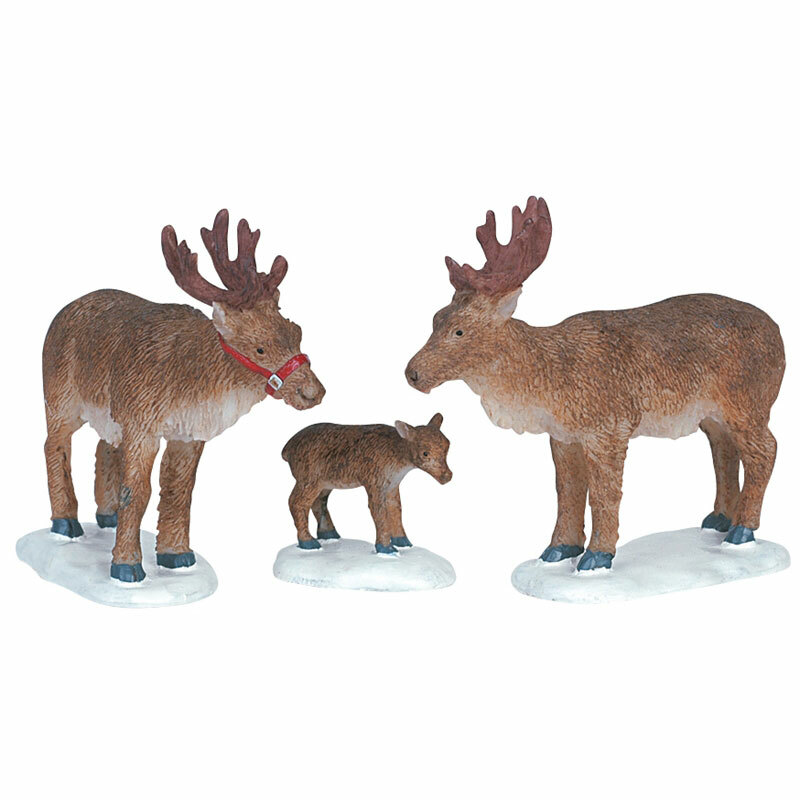 Reindeer set comprises of three individual hand painted polyresin figures on three snowed bases to compliment your seasonal Lemax Christmas Village display.